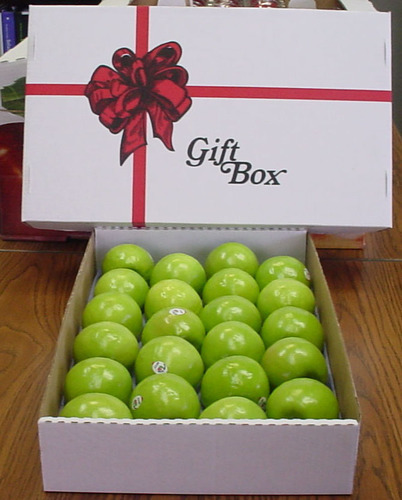 Yakima, WA – This holiday Season, order all of your bagged apples in our Holiday Greetings Film! 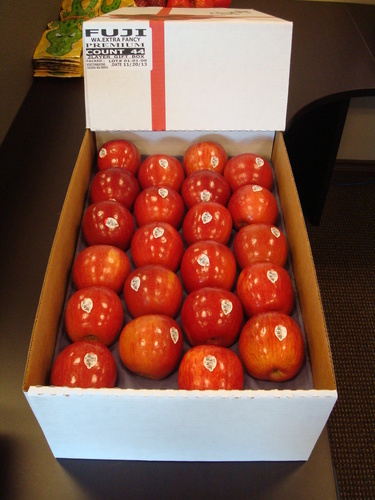 This is Borton Fruit’s third year packing and shipping this label. It seems to gain more exposure each season! The film is silver/grey colored with white snowflakes printed throughout. 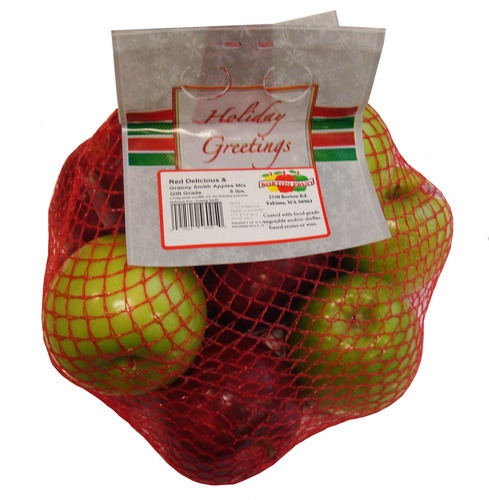 The wording and design on the bag is in Red and Green coloring and ties in well during the winter months of December through February. 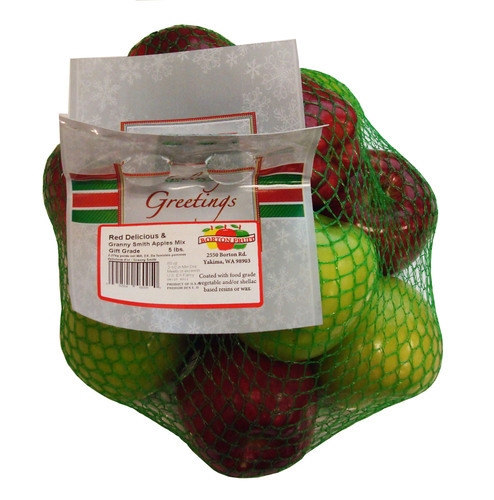 We can pack any single variety in the bag as well as a Red/Granny Mixed fruit bag, and even our famous Red/Granny/Orange mixed fruit bag. We also have different netting options being black, red or green to give it the final touch for the holiday themed look. Top it off by displaying the bags in one of our black secondary display bins (seen in featured photo). 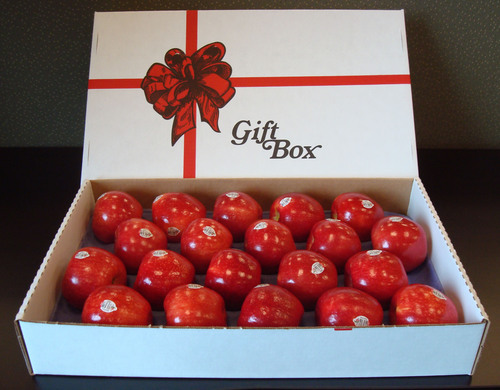 Borton Fruit also has one and two layer gift box options available at this time. 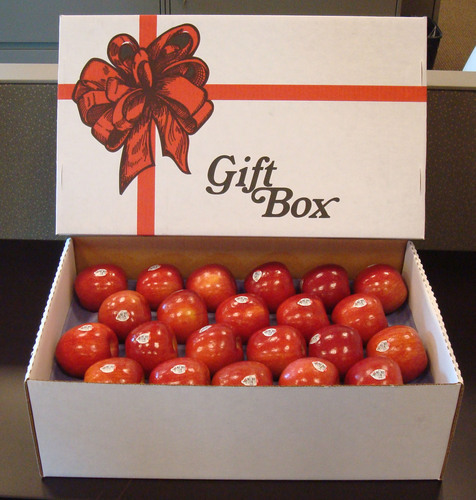 This white box with a Red Ribbon graphic around it makes for a great gift or display during the holidays in your store. Please contact your Borton Sales Representative for pricing options and availability.